Asia’s Lowest flat rate for shipping US $ 4.90 any item. We send by registered Air mail. Please expect 10 - 12 days delivery time. 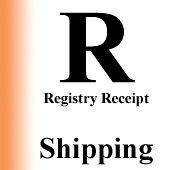 We are based in Thailand and Philippines.. All International shipments we charge you ONLY a worldwide low flat rate of US $ 4.90 for any item, no matter weight and seize, using Registered Air Mail. For express delivery we have to add a surcharge, depending of the cost of courier service. The price for Express mail from Asia is, however $ 30 and above, depending on the weight of your product. For more infos, please contact us. If you are not 100% satisfied with our products for any reason whatsoever, we offer you a 30 day Risk Free Period. Try the product and examine it for a full 30 days without risk. Order processing takes 1 business day, warehousing takes 1 to 2 business days, air shipping from Asia to destination takes between 7 and 10 days (intercontinental delivery). Delays in excess of these estimates sometimes occur but normally only during national holiday periods. Damaged goods upon arrival must be reported to our Customer Service Department by e-mail: service@drug-store-china.com followed by the return of the goods. Please save the original packaging material for inspection. We will replace the damaged products, credit the account or make a full refund at the discretion of the customers as soon as we receive the original returns. We accept return of our products for 30 days from the date of original purchase. Products must be unused, and in good condition.